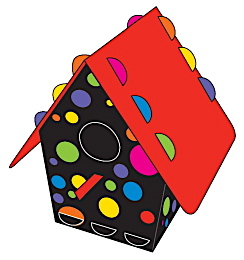 No tools required for these fun birdhouse kits… only imagination! 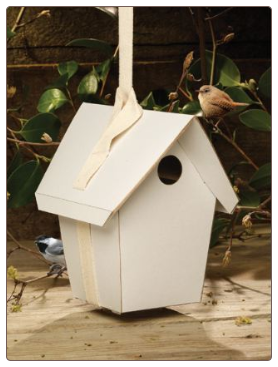 Totally Green Birdhouse Kits are made from 100% recycled paper, which is then laminated into a sturdy board. 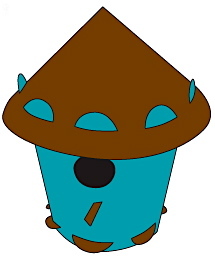 With a 1.25″ entrance, they’ll attract chickadees, nuthatches, wrens and titmice, A spacious weatherproof design makes the bird house biodegradable after the nesting season. This type of kit is perfect for children of all ages because it’s fun to assemble, requires no tools, and may be painted or decorated any way imaginable. The packaging is even a keeper, providing great info and photos presented in a fun way. Assembled by folding two die-cut pieces of board that fit together ingeniously, these birdhouse kits are even fun for adults too! 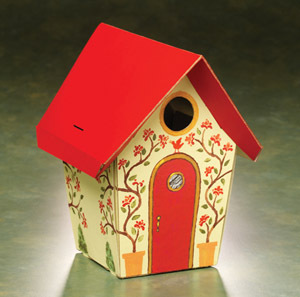 For all kinds of youth groups and school projects, birdhouse kits make the perfect choice. 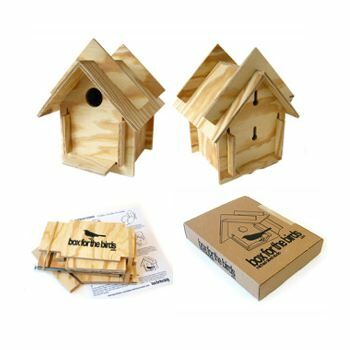 While helping to instill a sense of stewardship in children, the birdhouse kits serve as real nesting sites for wild birds to roost and raise their young. With a severe shortage in natural nest sites, mostly due to habitat loss and competition from non-native birds, birdhouse kits help to fulfill a critical need for Mother Nature’s beaked buddies. While the innovative kit at left is more like a puzzle, recycled plastic birdhouse kits arrive flat and ready for assembly. 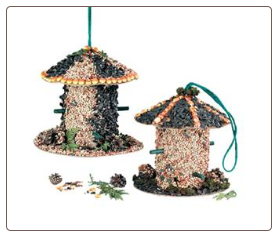 Bird feeder kits, and even bat house kits are available in durable and long lasting cedar too. It’s a terrific and fun way to help teach kids about the importance of conservation and our environment. Whenever I read stories of school projects and birdhouse kits, it give me a good feeling that some folks actually “get it” and really do care. The Birdhouse Chick is more than pleased to offer a substantial discount on birdhouse kits purchased in quantities for any youth or school project. Please Contact us with your details, it’s just a small thanks for housing and feeding the birds! We’ll even send some ideas for home made nesting materials the kids can work on to further entice feathered friends. A great project for any boys’ or girls’ youth group, or for something fun to do at home on a rainy day, bird feeder and birdhouse kits are the perfect choice! Teaching children the importance of conservation, and learning about their immediate environment, birdhouse kit projects help to instill a valuable sense of stewardship with a fun, hands-on approach. 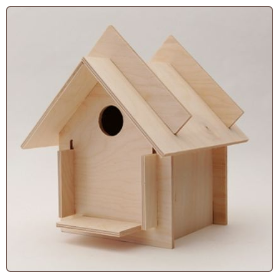 From Edible Feeder Kits, to “You Paint It” Wren House Kits, a large selection of reasonably priced birdhouse kits awaits assembly. Many require no tools at all, and some are more like puzzles with unique folding assemblies….meant for kids from age 4 to 104! Recycled plastics have made their way to the birdhouse kit scene, with some vibrant colors and way cool designs. They’re guaranteed to grab a child’s attention, while creating a useful roosting spot and nesting site for feathered friends.